This blog post is reflecting on a year’s time of using social media resources as a source for public access to the collection project. 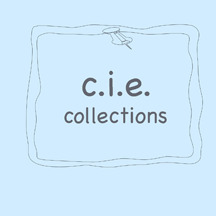 The website presenting the collection project, the blog associated with the background of my studio art practice, and various social media internet sites will be acknowledged in the accessibility to the information pertaining to the collection. The website is the internet source of exhibiting the collection. The website presents the collection in a couple of varied ways. An example of this is the video portion of the collection and the two video format arrangements on the collections web page. The first video format is presenting the newest additions to the collection themes and the second video format presents the collection themes in their entirety. These two formats offer the viewer options in viewing the collections as their schedule permits and based on continuous visits to stay updated on the collection’s status. The website offers information on the collection with a written statement, background information on the artist (myself), and current images and text documenting the physical locations of restaging opportunities. collecting process. My experiences and process of my studio art practice with the collection project is documented in the social media form of a blog. A direct link to the blog is available on the website. The blog offers public access to the background information of the collection project, such as research, my experiences in the development of the collecting process, and events that pertain to the collection. The text and images document the continuous process while engaging in the use of the observational processes and visual documentation between the fine art disciplines and borrowing of anthropological methods. The access to internet links with my texts and images represents a wider source of resources for my collecting process. Hypermedia presents an opportunity of open-endedness to fieldwork and the structures of ‘finished’ written or visual conventional ethnography. The blog shows my development of knowledge and the process of the reinterpretation of the knowledge over time and experience with the project. Besides my subjective experience using the blog, it has open access for the viewer of the blog to explore these wider resources, such as links or my experience with material culture methods within my studio art practice. My blog and the website are linked to my Google+ account. A current blog post can be publicly displayed on Google+. The public access refers to posting information on the Google+ site and their members can see my postings. Another social media site I use is Facebook. I have a link on my website to the collection’s Facebook fan page. Of all social networking sites I have available on my web page to follow the collection, I will refer to Facebook for a current example of the absences to the public availability of the status of the collection. A recent change in Facebook’s fan page policy has made me inquire about the future use of this style of pages. The changes began with Facebook altering the News Feed of posts and status’ by prioritizing those who have the most activity or “Likes.” At the end of May 2012, according to an article on Socialfresh.com, Facebook launched a “pay to promote a post” policy to reach a greater percentage of the fans following a page. The Socialfresh.com article states that this promotion is part of a beta test, and there are reports of the feature not being available to pages with fewer than 500 fans. My Facebook collection’s page is in the initial stages of developing a following. 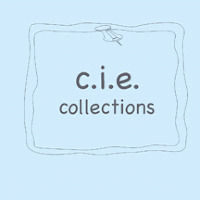 I have no intentions of paying for marketing promotions of my “collections” project, since the social networking page was intended to promote an online social interaction with the recent additions of the collection and not intended as a brand-marketing tool. A recent article in Adweek states that Facebook is offering a “Pages Only” News Feed that will post the pages a user has “Liked.” This is after Facebook responded to their member’s request that they want to see the pages they were connected with. This does not insure that all posts from fan pages will be seen. That is still a matter of uncertainty, which is dependant on how many fan pages the user is following and the number of post by those fan pages per day. I will acknowledge there are subtle changes occurring, while Facebook is altering its features and testing new marketing strategies. During my experience and research of using the Facebook fan page, my investigation has been focused on the public access to those who are not Facebook members. Yes, the fan page can be seen on the internet without logging into the Facebook site, but there are absences of what content is publicly available. The page cannot be interacted with; for example, I use the “ask a question” feature in correspondence with my recent addition postings. This information is accessible and stored within the Facebook online structure. The other information that is within the structure is the responses to the posts. The history of those responses cannot be seen without logging in to the site. As my page develops it would be convenient if it had full public access for those viewers who are interested in using the information available for future media or material culture research. Tim Berners-Lee refers to the social networking sites as silos of information. He argues these site pages are on the web, but the data is not accessible or easily transferable to another site. Berners-Lee article references the web’s initial concept of having universality along with the threatening presence of sites becoming central platforms on the internet. It is common knowledge that Facebook has this presence on the web. The recent article I referenced from Adweek indicates Facebook does respond to their members’ needs of accessing the information they requested on the site, but there have been no future developments of universality of the site. I do not have current plans to cancel my Facebook fan page. With my review of this one year time period of employing social media as a source for public access to my collection, I have realized that either my blog or my website needs to have other forms of social interaction with the collection. This will indicate if I need to continue to maintain the other social networking pages on Facebook and Google+. My blog is currently also connected to another central platform of the internet, which is Google. Diversity in communicating the “collection” project is key for an openly accessible idea that works around the central internet platforms. My research on media forms will continue as well as signing up for other software projects that sponsor networking sites with open standards. Watch Tim Berners-Lee talk at the 2009 TED conference about restructuring the web for linked data. In the month of October for a two week period I did not receive the packet of ad circulars that is delivered weekly by the postal service. This packet contains the majority of local grocery store ads as well as fast food restaurant coupons. Since I am relying on my local mail delivery and newspaper for my collecting process; I will need to document the absences of this time period on the October 2012 archive sheet. Documenting this information is not about how the totals for the month were altered, but an uncontrolled disruption in the collecting process. The total for the October 2012 segment of the Coupon Collection is 1813.